on the clean energy revolution, climate change, technology innovation, energy poverty etc. Energy World April 2019 on the future for community energy. 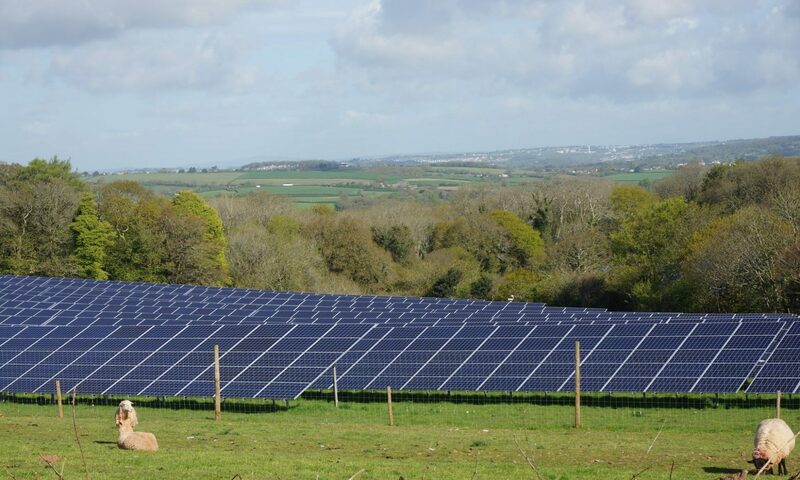 The article features Yealm Community Energy and discusses the more challenging financial environment faced by new community schemes in the immediate future in the absence of subsidies (does not apply to Newton Downs or Creacombe). Scientific American Jan 2019. How Solar farms like ours can improve biodiversity and safeguard pollinators. The Conversation Jan 2019 Britain has shifted 30% of its electricity away from fossil fuels in just 9 years. FT 4 Dec 2018 Should there be a global concentration on Technology innovation to combat climate change ? FT : 23 Nov 2018: “A clean carbon future is both feasible and affordable”. Guardian 15 Nov.2018: ECJ halts Capacity Market scheme.